A few years ago a woman walking home alone from a bar in a nearby college town disappeared and was never found or heard from again. Tragedies like that can get people thinking about how they might use technology like smartphones and location data to help keep ourselves and our loved ones safe. One of the most interesting ideas I’ve encountered is an iPhone app called Covert Alert. While anyone with a smartphone can send a text message to a friend when they encounter trouble, Covert Alert does it quickly and automatically without using the phone’s keyboard. 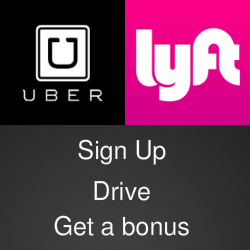 The app is built around three key features. First, users can designate multiple recipients to receive either default or custom messages. Second and perhaps more important the app’s ability to respond to a user’s voice and their trigger words. 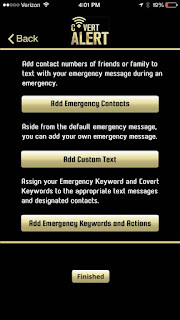 Covert Alert also turns on the phone’s recorder for up to 15 minutes after an alert is sent. The recording captures conversation and background sounds and the audio file is stored on the phone and backed up in the cloud where it can be retrieved even if the phone is not available. With all those features, you might expect Covert Alert to be complicated and difficult to set up and use. But that’s not what I found when I tested the app. I had it up and running smoothly about 10 minutes after downloading. 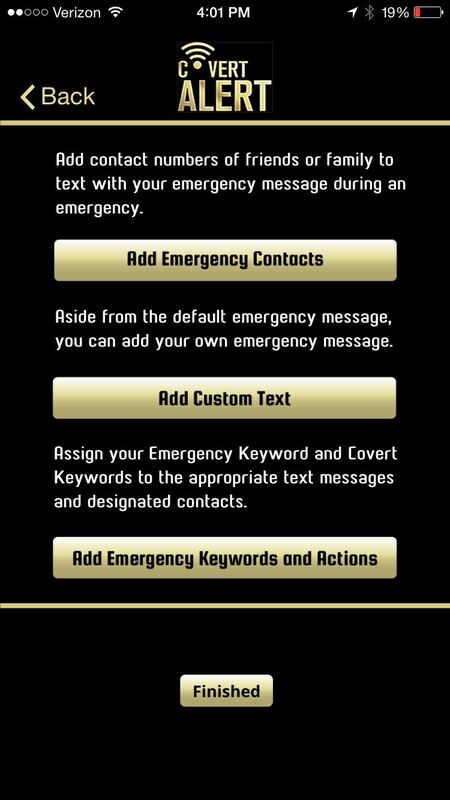 After registering a username and password, Covert Alert asks you to enter phone numbers for your emergency contacts - the people who will be alerted when you need them. You then enter your preferred trigger words or numbers. Covert Alert has a default message that says “Your friend [your name] needs help! Click here to see their location” followed by a link that brings up a map view with a street address. You can add additional sets of keywords and messages for more specific situations. The app began listening to my voice after I pressed a button marked “Guard Me." When I spoke my trigger words, the default text message arrived on my wife’s phone in a couple of seconds. 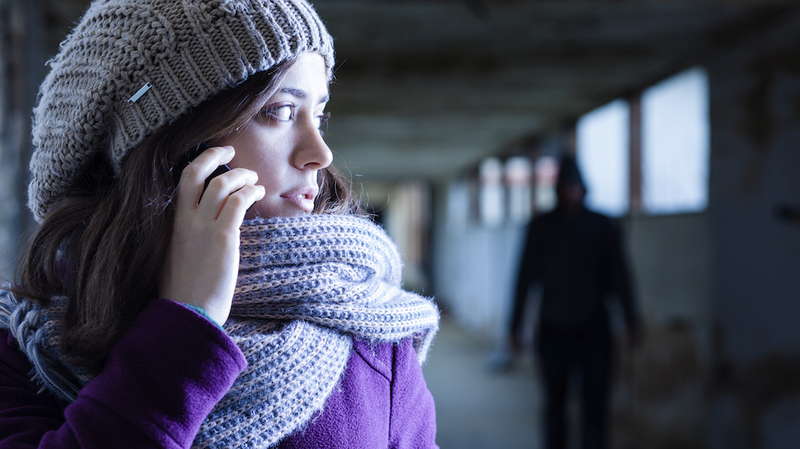 Unlike some other safety apps, Covert Alert does not require a continuing service fee. The app costs $6.99 in the iTunes App Store. (The developers tell me they are working on an Android version). That fee gives users 50 text messages and 15 minutes of recording time. Additional messages and minutes are available. I can think of many of situations when it would be a comfort to have Covert Alert available. Maybe you’re walking to your car in a dark parking lot or stopped on the side of the road with a flat tire. And if I had children old enough to use a smartphone, I would make sure this app was on it. For a closer look, check the video below and visit the Covert Alert website. Covert Alert is also on Facebook, Instagram and @covertalert on Twitter. Love this app and wouldn't be without it!